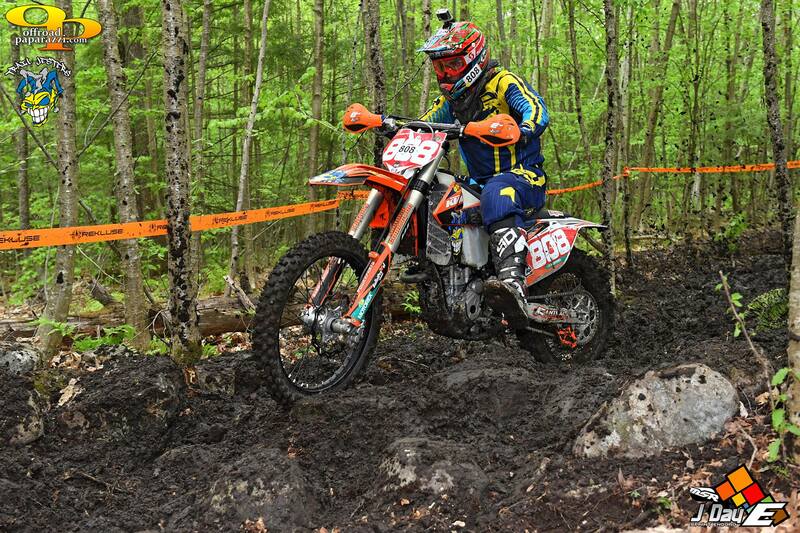 Josh Toth went north this past weekend to take on Canada’s best off road riders at the 12 Heures D’Endurance de La Tuque. 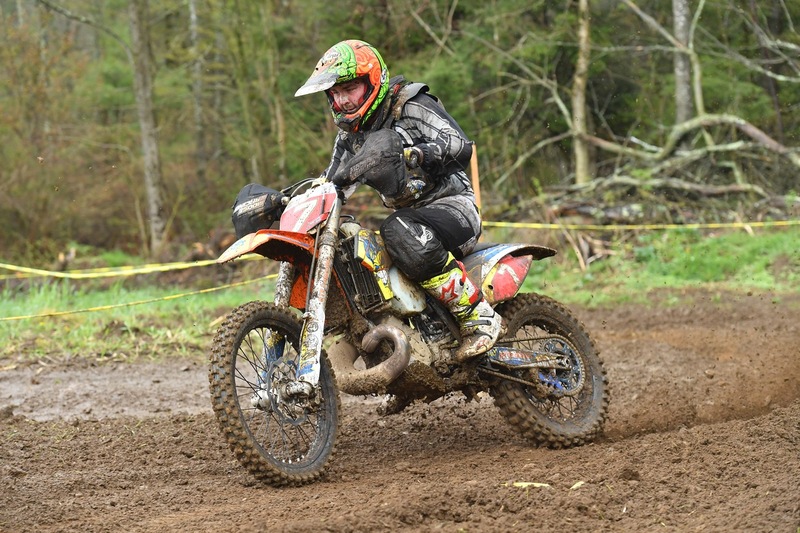 This weekend of racing is billed as Canada’s largest off road event. 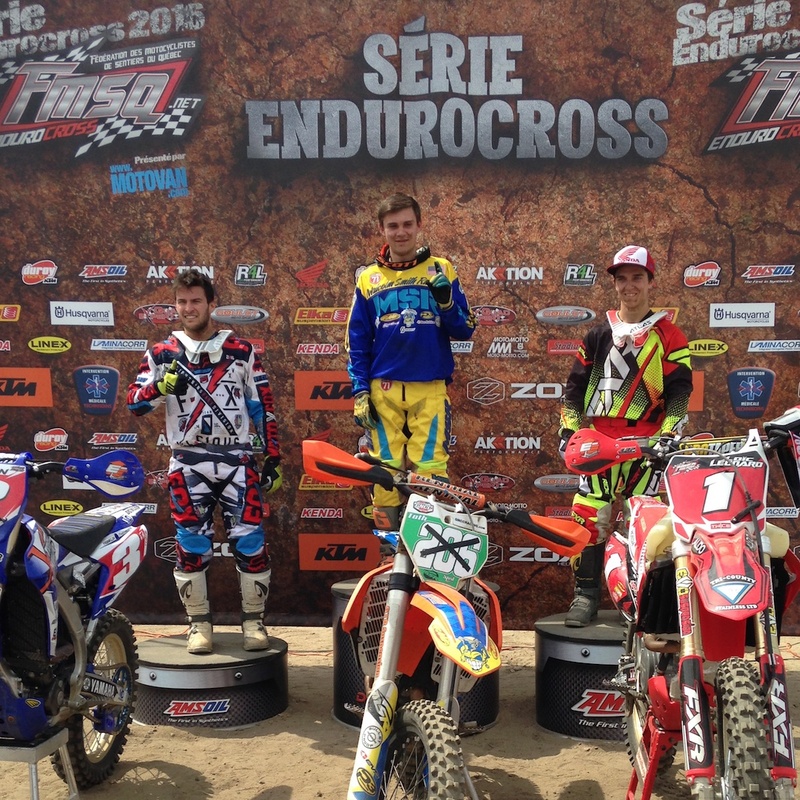 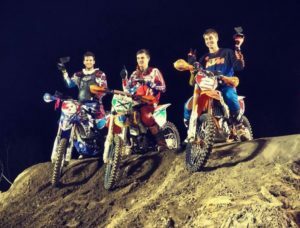 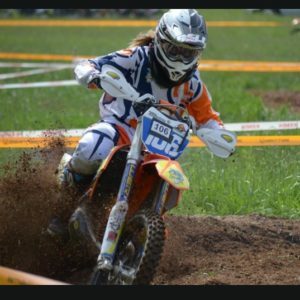 Josh raced the “EnduroCross” (Hare Scramble) and “EnduroCross Extreme” (EnduroCross) and took the overall win in both! That one phrase by the RacerTV announcer sums up our Limestone 100 experience. 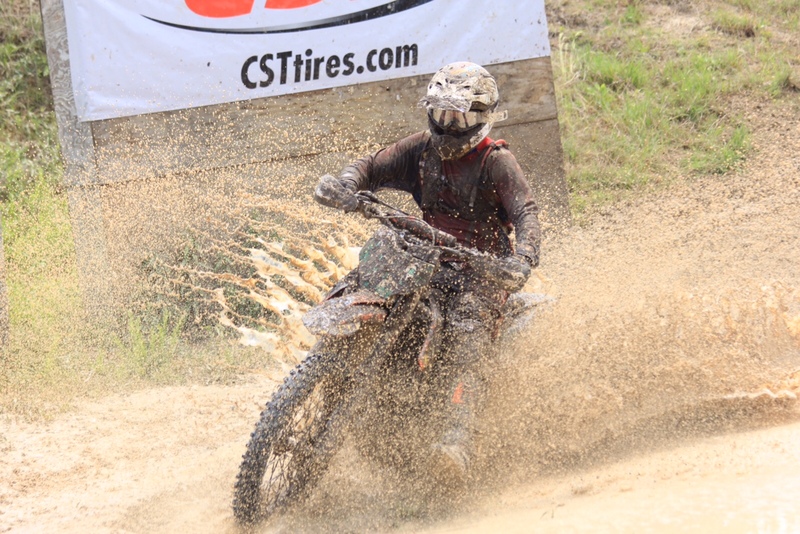 Very gnarly track and conditions. 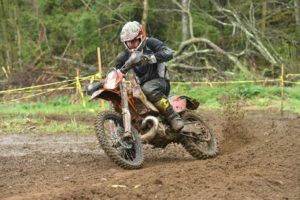 All the best riders XC1 & XC2 went down at least once today including all the big dogs. 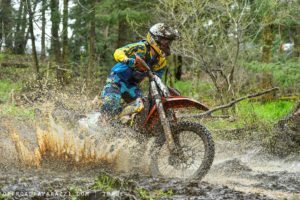 But it turned out to be our best day at the national level to date. 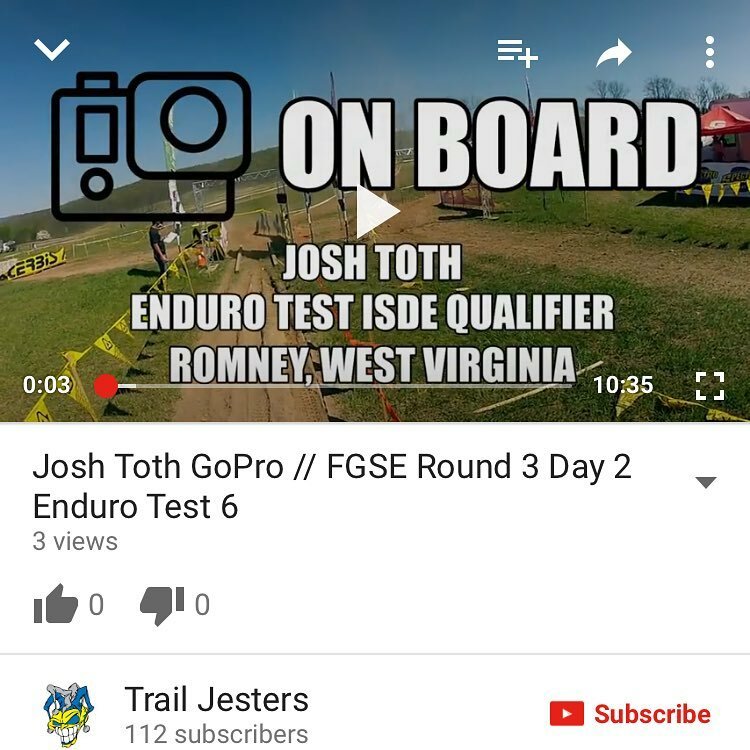 Josh got 6th off the line and when they came out of the woods 2 miles later he was in 1st XC2 and pulling away. 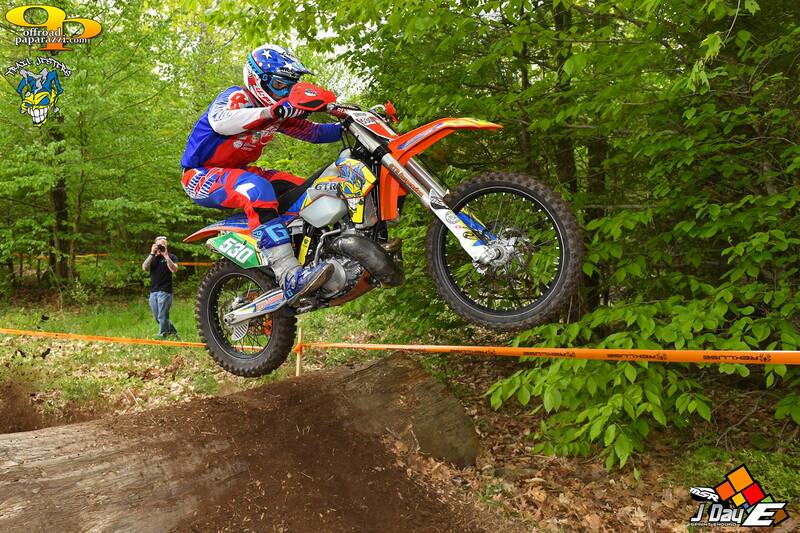 He stayed out front for three laps until he went over bars jumping a log. In the time it took him to get his bike upright, turned around and back on the track he had dropped 4 places. 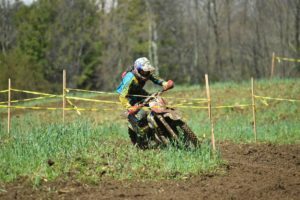 In parallel Ben had been working his way up from a bad start and passed Bolinger for the lead … and gapped him by about 40 seconds. So now Ben is leading XC2 and stayed out front for 2 full laps. This was a game of picking the right lines and avoiding lappers. Ben unfortunately picked a wrong line … and while stuck in a mud hole he was passed by Bollinger and Delong. 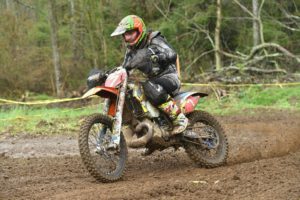 Ironically Kaluib Russell’s Mom helped get Ben out! 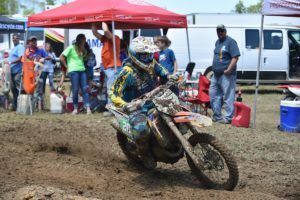 By then he had lost a lot of time but was still in 3rd so he then set out to reel in Delong … finishing 6 second behind 2nd place at the checkers. 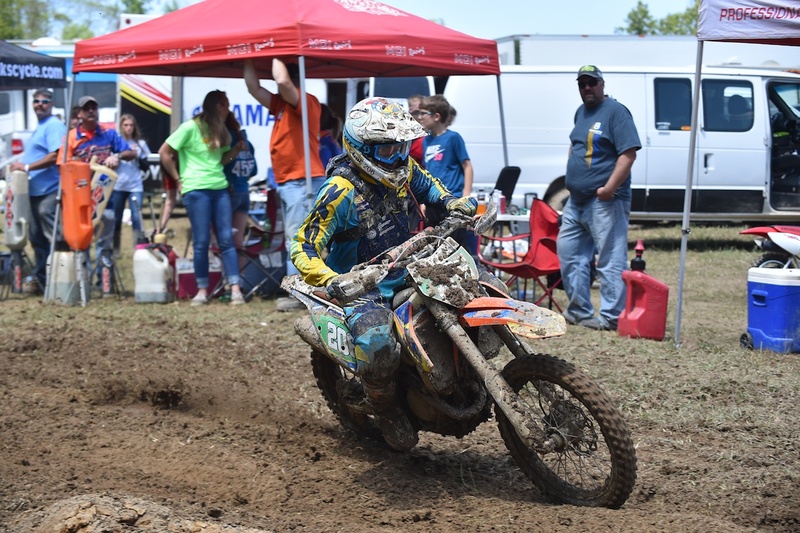 It took Josh about 2 laps to get his flow back but then he started picking off riders, laying down very fast lap times and ended up a personal best 4th XC2 and 9th overall. 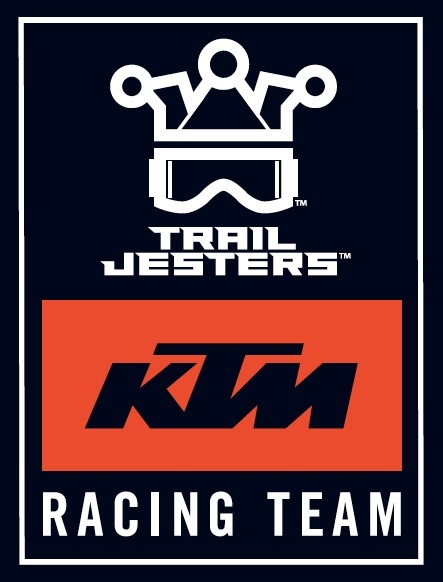 Podiums and personal bests aside … we want to thank the Trail Jesters Racing support crew and our great sponsors for getting us here. 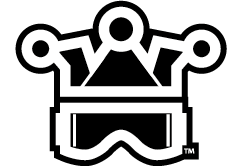 Stay tuned, the best is yet to come. 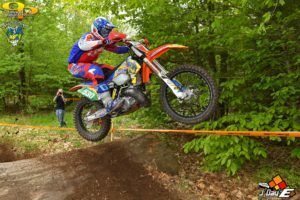 Another great New England Hare Scramble with a great course. 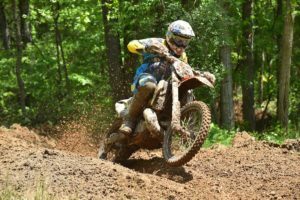 The team was ripping and Josh Toth was all business leading a #jestersweep of the top 4 places overall at the NETRA Netmeg Hare Scramble on May 8, 2016. 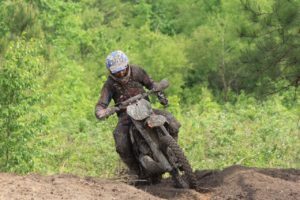 Thunder, lightening, down pour, mud holes, killer ruts, rooty … sounds like a good track for the New England rippas 🙂 and another solid round for Ben and Josh. 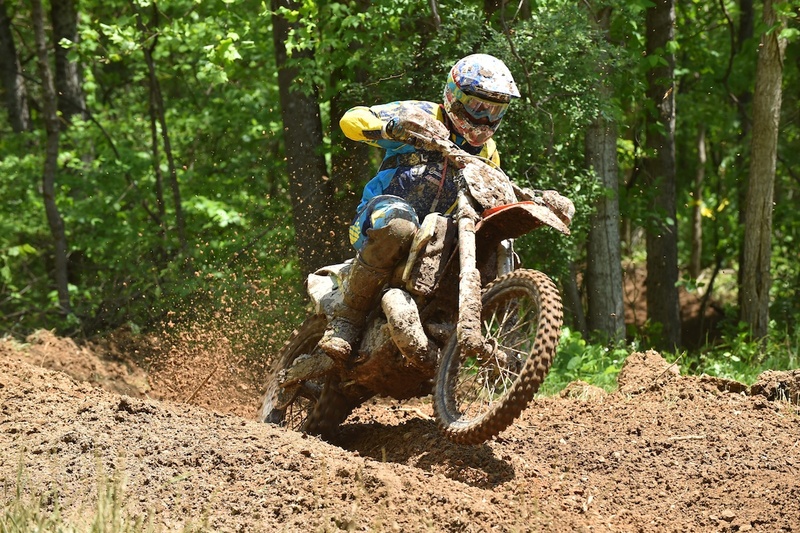 Ben Kelley 4th XC2 & 9th Overall at Camp Coker GNCC round 5. Josh Toth 8th XC2 & 16th OA at Camp Coker GNCC round 5. 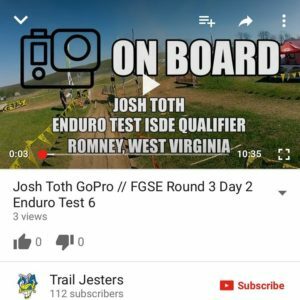 Click here ==> Josh Toth GoPro via Trail Jesters YouTube channel.